Sunday is Mother’s Day, and I still haven’t decided what to get my mom. What do you get someone to say thank you for being supportive, affectionate and so influential? Any material gift seems insignificant. Therefore, this year, I am dedicating this blog to her and sharing the 5 most valuable food lessons she taught me. These lessons have not only shaped my relationship with food but have also influenced my food philosophy. 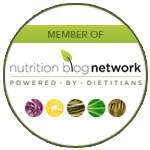 I’ve shared them with many of my clients at Dietetic Directions. To add context to my 5 food lessons, I’ll share a little backstory. I grew up in a food-centric, Italian-Canadian family in Mississauga. All of our get-togethers revolved around fresh homemade foods (a lot of pasta), usually a minimum of two meat/protein dishes and about three to four different vegetable dishes. My Nonno was a chef for the Italian army and my mom studied Applied Human Nutrition at university. Their interest in food “rubbed off” on me and I quickly developed an appreciation for not only delicious food but also the nourishing powers of eating well for health and vitality. My affection for food developed early and has been highly influenced by the following food lessons taught by my mom. The top food lesson from my mom is to feel good about food! This might sound overly simplistic, but it’s actually one of the most complex relationships we have. It is a relationship that is heavily influenced by our upbringing and dictates how we eat and even how we feel about ourselves! My mom helped me see that food is not the enemy and not something to be feared or restricted. Food is good. Food is nourishment. Food is love. Without knowing, she shared her positive feelings about food with me. I watched her prepare meals with love and I watched her enjoy eating too; this showed me that it is safe (and desirable) to have a positive relationship with food. I do not take this lesson for granted and this is a foundational pillar in my private practice. With our busy schedules, making time for cooking meals can be a challenge. This is actually one of the biggest barriers I see in my private practice – busy people finding time to cook. Thankfully, my mother showed me what it looks like to make cooking a priority, and how to put this in action by making simple meals. Looking back on it now, I am impressed with how she adapted to a busy mom schedule and still managed to feed us and get us to our soccer games and swimming lessons. She took time on weekends to cook extra food so that it could simply be reheated. Mom did batch baking (check out mom’s banana chocolate chip muffin recipe). She was also not too proud to go with very simple meals when time was limited; grilled cheese with veggies, egg sandwiches, quesadilla, chili, and so on. Today, this lesson has made it possible for me to make cooking a priority by planning ahead and using easy options when needed. My mom had a rule that we always ate dinner as a family. This allowed us to sit down, talk about our day and enjoy a meal together. Today, I have a great appreciation for the benefits of family meals. Research also supports the many benefits for families eating together, such as: improved eating habits, better academic success, less disordered eating, etc. Thank you, Mom for encouraging us to eat together and for making meals fun with new foods and familiar favourites. You gave us consistency by providing three meals a day and allowing us to have seconds, or thirds, because eating involved listening to our body and our appetite. In our society today, food is often demonized (aka, “that’s bad” or “unhealthy”) or restricted, which actually creates a greater desire to eat these foods! Thankfully, Mom taught us that it’s okay to have treats and it’s even okay to not feel bad about it! Imagine that! This made us feel that food was not “bad,” it was simply something that we could enjoy if we wanted to. Today, I help clients reframe their relationships with treats and create healthy eating as a lifestyle, not as a temporary restriction. Last, I learned from my mom that we do not have to do it alone when it comes to preparing meals. Instead, we can solicit help. Asking for help is not a sign of weakness; it’s actually very powerful and effective. Mom called upon all of us for help, like setting the table, thinking of meals ideas, and helping with cooking tasks like grating cheese, cutting vegetables, etc. Asking kids to help in the kitchen not only teaches them how to do basic tasks, but also increases their confidence and of being self-sufficient and less reliant upon processed foods or restaurant meals for dinner. To this day, I view cooking as something that others should be involved in. I love cooking with friends and still love cooking with my mom. This Mother’s Day, be sure to thank the women in your life who have influenced you. Tell them how they have positively shaped the person you are today. Thanks, Mom, for teaching me 5 food lessons: to feel good about food, to make cooking a priority, to eat meals together, that it’s okay to have treats and to get other people involved in meals. These food lessons are powerful and meaningful representations of your love.